Chair with frame in natural ashwood, Canaletto walnut stained ashwood, burned oak stained ashwood or open pore matt white or black ash wood. 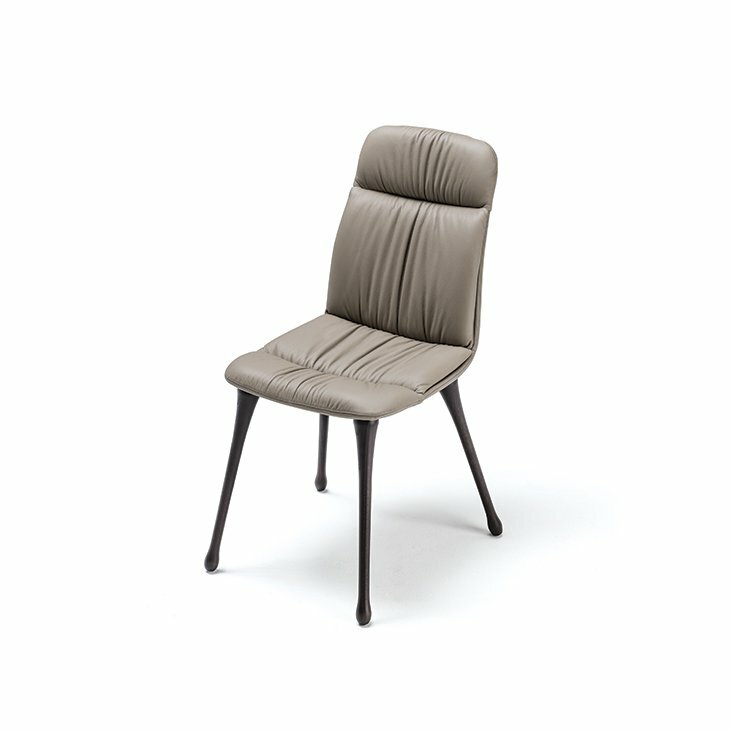 Seat and back upholstered in fabric, synthetic nubuck, synthetic leather or soft leather as per sample card. The cover is not removable. Priced here with a black frame and Canapa synthetic leather. Please contact us for other variations. " 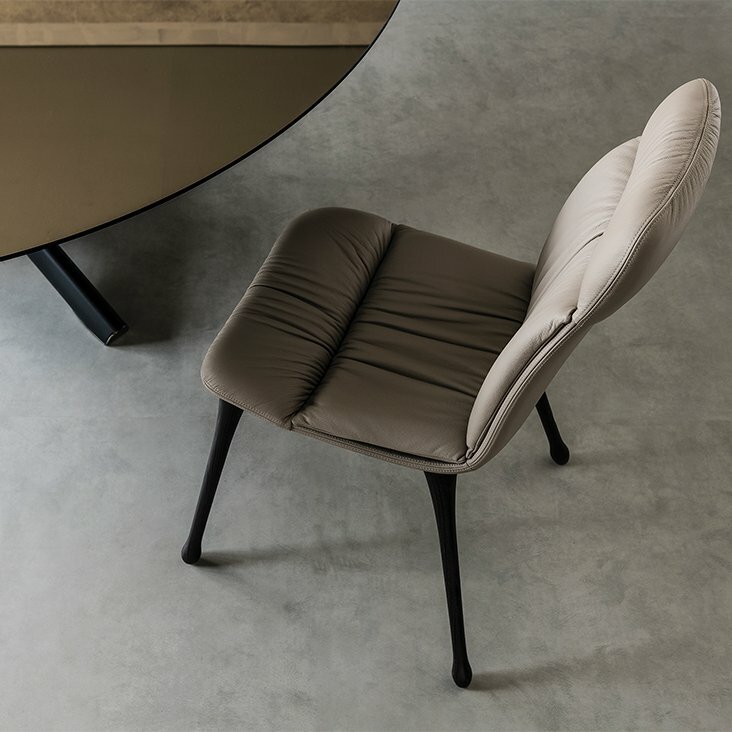 Chair in black ash wood with seat upholstered in synthetic leather. Please contact us for other variations."